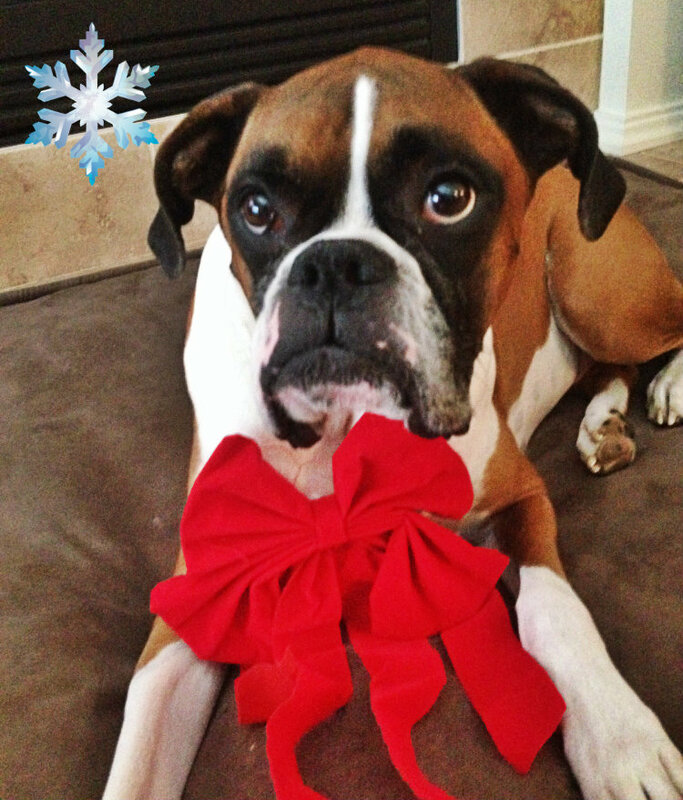 7 days until Christmas! How did that happen? December has really flown by this year. My husband loves Christmas so much, so it is pretty festive around here – we are ready for Santa at the McDonald household! At my office we did a Secret Santa, and while I love the sentiment it’s always tough to do a thoughtful and unique gift at a low price for someone you don’t know that well. 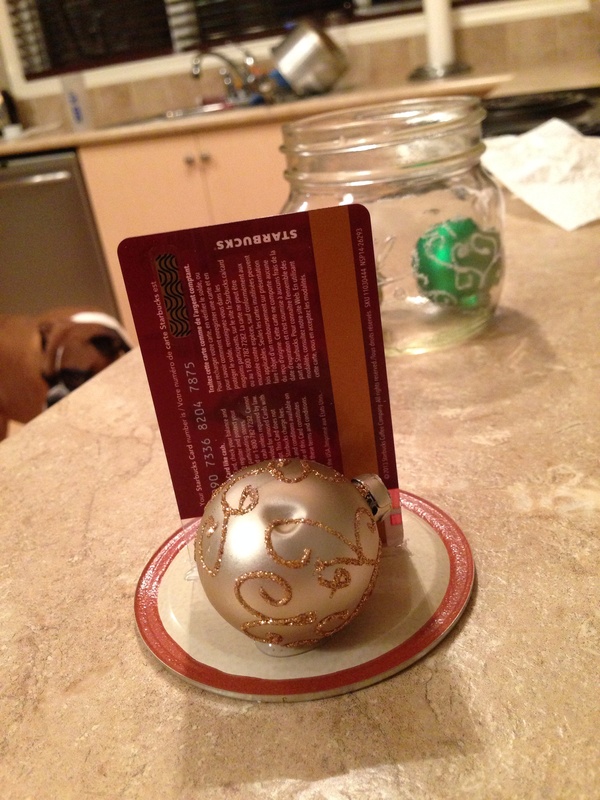 So I went ahead and did the standard Starbucks gift certificate as the base of the gift and then I was able to get creative around that. 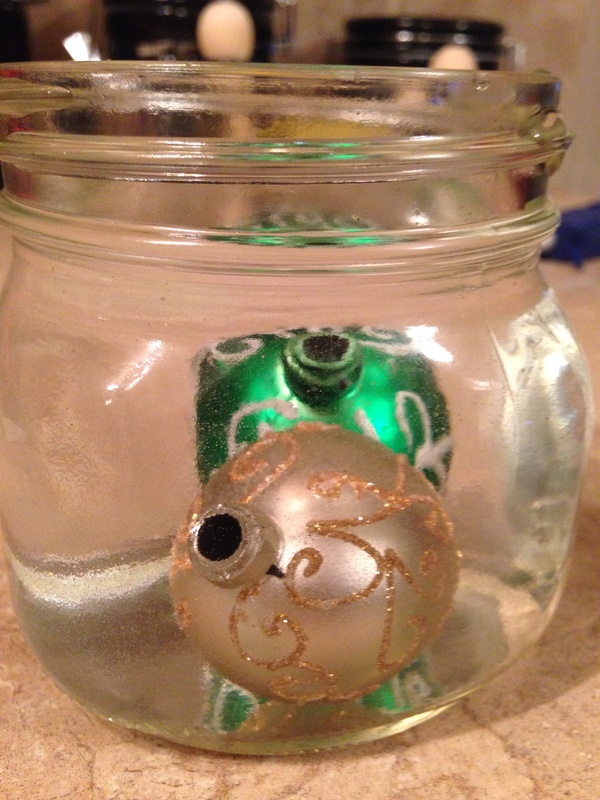 Behold the DIY Snowglobe! 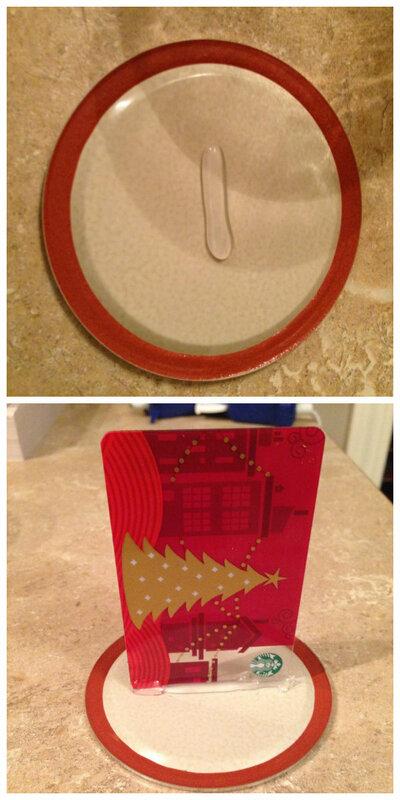 A creative and festive way to give a gift certificate! 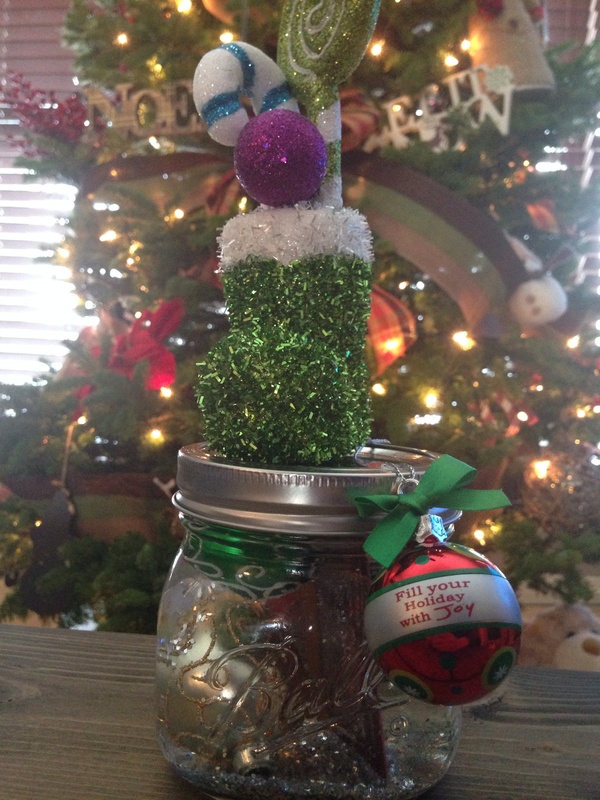 This is hands down the easiest (and I think cutest) Christmas craft you’ll do this season! 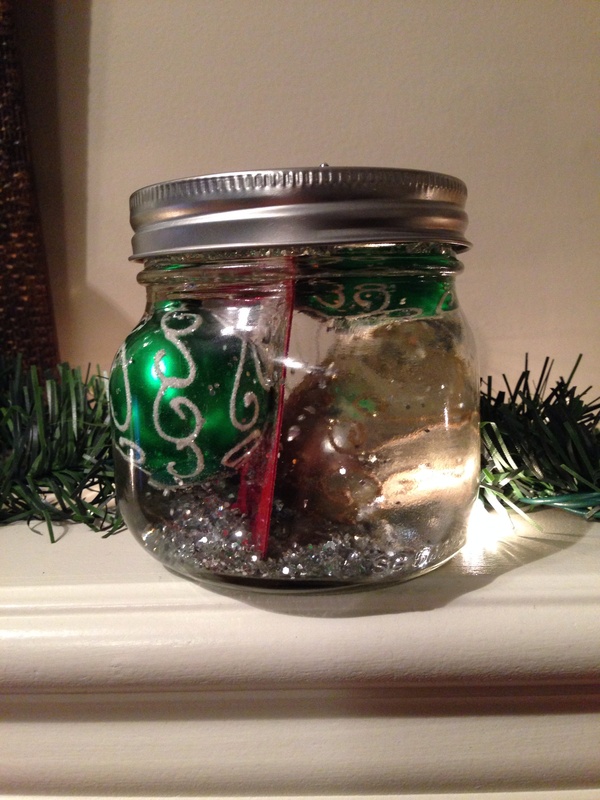 All you need is a wide mouth mason jar, water, a glue gun, glitter, and some extra small Christmas balls. Start with the inner lid and pipe one line of hot glue on the base, this is wear your gc will sit. Here is where it got a little tricky for me. I wanted to glue two balls to the bottom of the jar but the air in the ball kept popping them off when the water went in, the glue wasn’t strong enough to hold. I tried filling them with water to weight it down, but they still wouldn’t stay. Ultimately the bottom two balls ended up loose and floating. If you try this craft and figure out a way to make them stay please let me know! 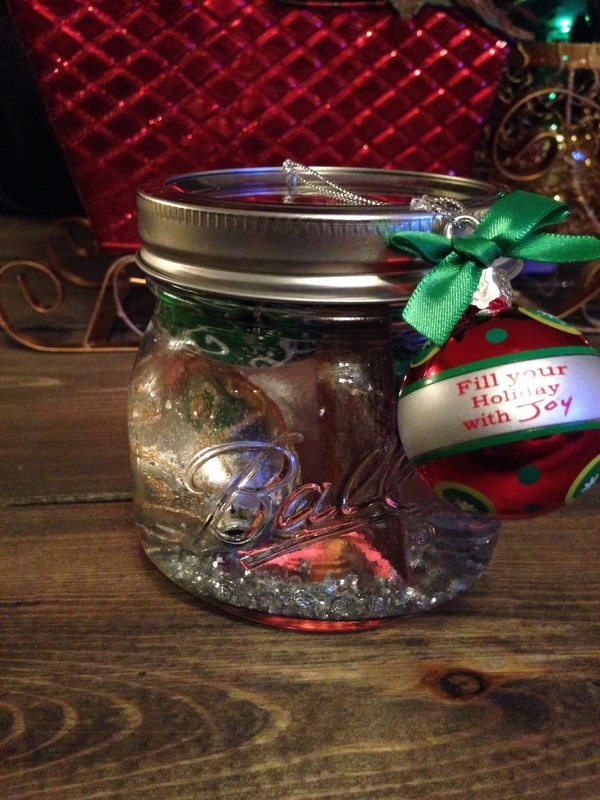 So fill you jar about 7/8 full with water while your Christmas balls are already inside. Now you can go as crazy as you want with the glitter, or “snow” I guess it is standing in for. 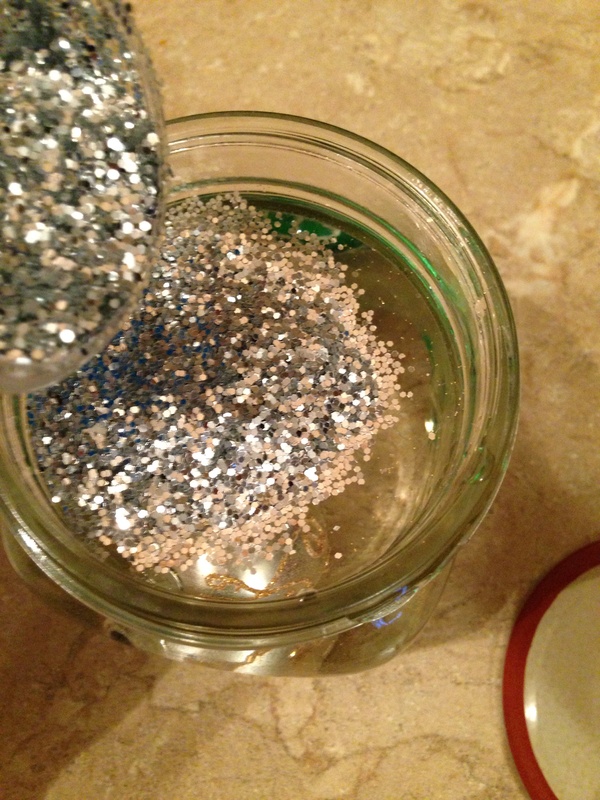 I did a pretty big amount of glitter, the sparklier the better! 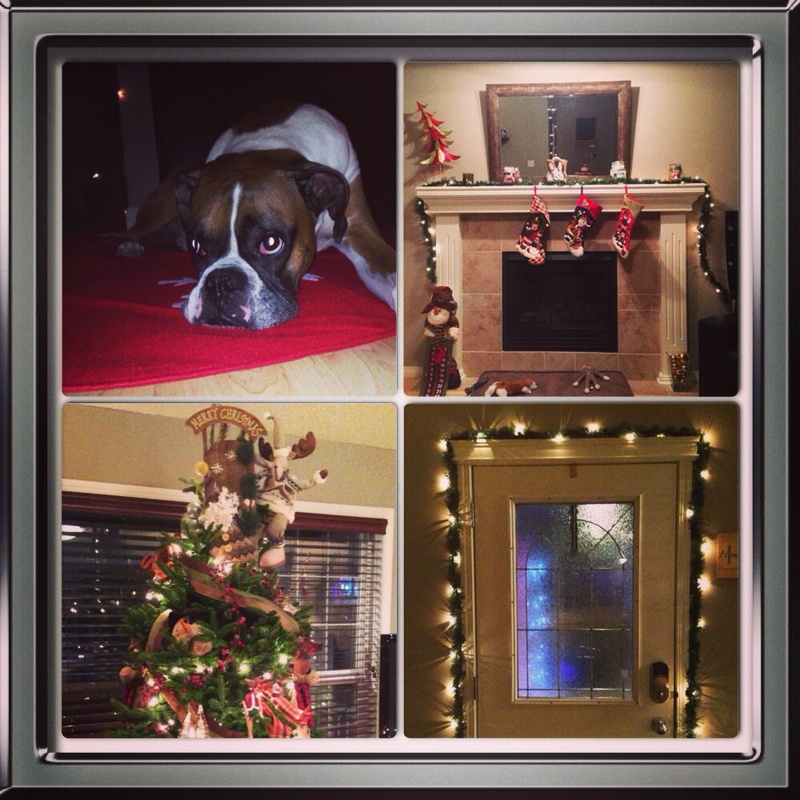 It is Christmas! Now put the two pieces of your lid back together (the glue on the card should be dry by now) and place it down into the watery globe. I made it so the card stood between the two bottoms balls, I think it looks good this way and keeps the bottom two separate. You’re done! 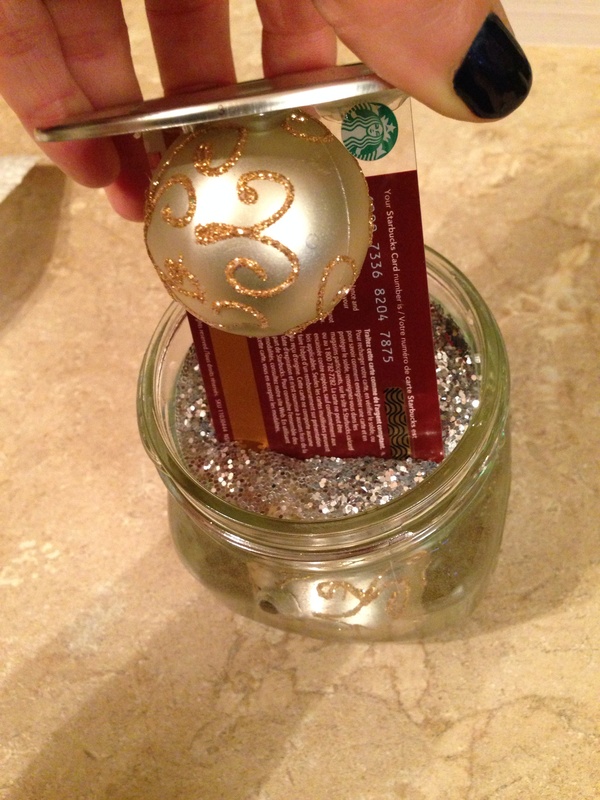 Make sure the lid is screwed on tight and then decorate the outside as much as your want. Ribbon around the lid would be really cute, I added a Christmas ornament and then later added a little Christmas bootie. I am obsessed with this craft! I think it is so cute. I wanted to add one more little thing to my Secret Santa gift so I headed to pinterest for a unique Christmas cookie. 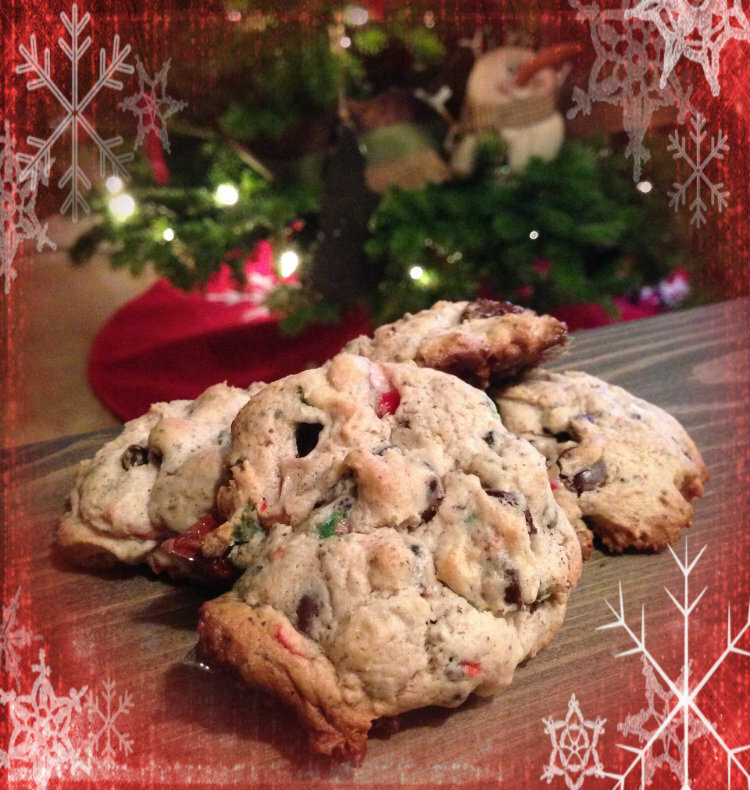 You can find the original recipe here at Inside BruCrew Life, where they are called Oreo Peppermint Crunch Cookies. 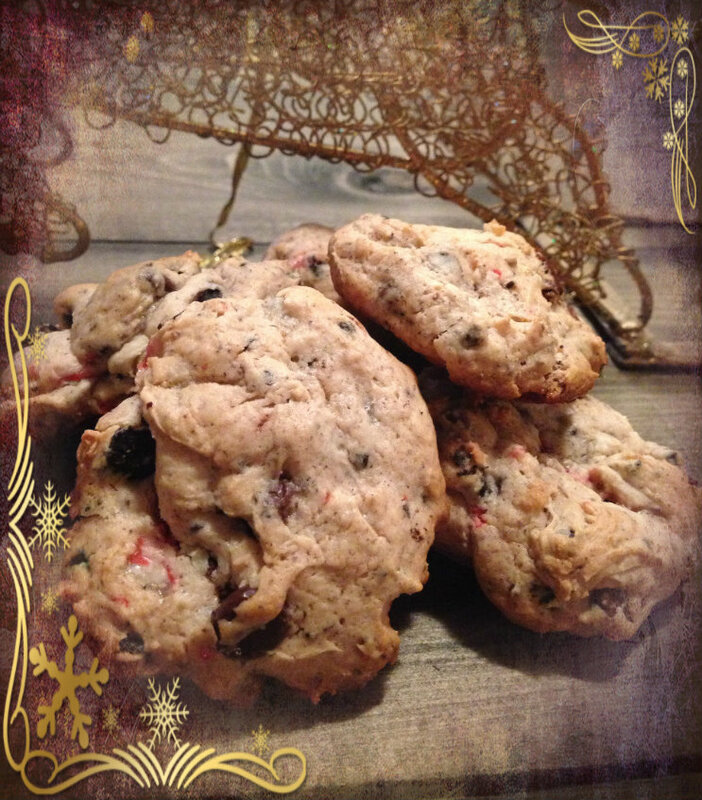 These cookies have a lot going on; oreos, candy canes and dark chocolate chips. But when you taste them it’s like Christmas in your mouth! I’ve never made cookies with a cake mix before, but it makes it really simple and they’re pretty fluffy. The ingredients: 1 box white cake mix, 1/2 cup of melted butter, 1 egg, 1/2 teaspoon peppermint extract, 4 ounces cream cheese, 1/2 teaspoon vanilla extract, 1 cup smashed up oreos, one cup smashed up candy canes, 1/2 cup dark chocolate chips. Mix the melted butter, cake mix, egg and extracts. Add cream cheese and beat into a fluffy dough. Fold in oreos, candy canes and chocolate chips. I refrigerated the dough for an hour. Pre heat your oven to 350. The candy canes will melt in the heat of the oven so be sure to use a cooking spray on your cookie sheets or they’ll be really stuck. Bake for ten minutes, they will seem a little unfinished when they are out of the oven so let them cool for 5 minutes on the cookie sheet before transferring. Then eat them all up! Have a wonderful Christmas full of love and happiness!